IMPORTANT: PrecisionMotorWorks will be closing for the summer, from June 8, 2018 to September 5, 2018. During this period, repair services will not be available. Orders may be placed online but most will not be processed or shipped until operations resume in September. At MDI PrecisionMotorWorks, we have THE EXPERIENCE, THE ENGINEERING EXPERTISE and THE FACILITY to handle just about any project or problem you could possibly throw at us - We love a challenge. From the conventional to the outrageous - If it has has anything at all to do with magnetic tape, we've got you covered. There's just no substitute for expertise and experience. After 30+ years, you might say we've got our fair share. Our rebuilt motors work great, our custom parts and products are carefully manufactured, fully tested and guaranteed to meet or exceed all original specifications. Services are provided for Ampex, Otari, Sony/MCI, Studer, and just about anything else on this planet that ever moved magnetic tape. Please contact us for a quote. We provide, at minimum, a full 90-day parts and labor guarantee on all of our parts and services... A very solid guarantee! We were the first to develop a unique process which permanently bonds a super hard ceramic sleeve to many types of capstan and drive shafts. We were the first and we're still the best. Eliminate tape path skew and capstan related speed problems for the life of your machine. 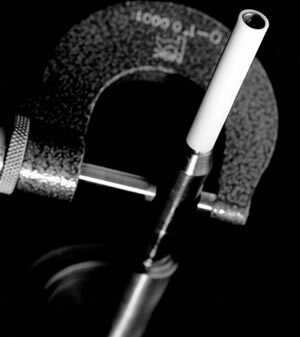 Ceramic Sleeving is available for virtually all Direct and Indirect Drive Capstan Shafts. The ceramic sleeve is a real problem solver and a great way to extend the life of your tape drive capstan motor. The absolute best thing to do with a slipping capstan, especially from a 2" A80 or A800, is to send it to Jeff Gilman at Precision MotorWorks and have him install a ceramic sleeve. Once this is done you will never have to touch it again outside of cleaning it every once in a while. It's not cheap but it is worth every penny. We have several A800's with ceramic capstans installed by Jeff at Sony Music and they work great. Ed: Contrary to what is written above, we STRONGLY recommend that you NEVER attempt to abrade a capstan shaft with "polysand" or any other form of abrasive. The only safe "cheap" route is a bead blasted finish which may be accomplished quickly at PrecisionMotorWorks for about 1/4 the cost of the ceramic sleeve. We are not in the business of supplying off the shelf, garden variety pinch rollers. We leave that to the guys with less imagination. What we can do for you, on fairly short notice, is provide you with the esoteric and the ordinarily extinct. We've made pinch rollers for Walter Sears' Studer C-37's; Tom Jung's & Design FX's, Mitsubishi X-86's and a host of others. Why trust your rubber rollers to just anyone? For more info, please contact us. Surface grinding, cylindrical grinding, CNC milling & turning. Is there something we can do for you? Trying to fit a square peg into a round hole ? We're the folks to call. We offer full service machining and fabrication, right here, in house. 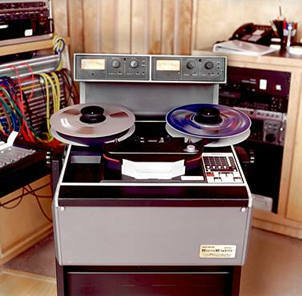 When Walter Sear of SEAR SOUND in NYC wanted to get his vintage STUDER C-37's modified and on-line... he turned to us. When John Klett and Andrew Roberts (Purple Audio) in NYC wanted to get their AMPEX MR-70's up and running.. they called us. So, Who are you gonna call ? We specialize in unusual, demanding tape recorder modification and restoration but at our facility we are able to handle all kinds of repairs - mechanical and electrical. If you've got any problem with just about anything audio, we just might be the folks to call. 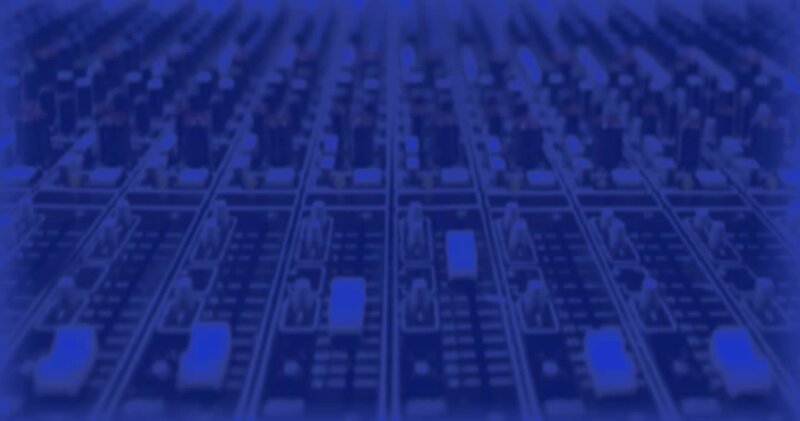 Our enhanced audio testing facilities, including fast PC based high-resolution FFT analysis, enable us to cover all the bases - and we've got a great inventory of parts for virtually all repairs! At our shop, we can roll your machine right in the door, any make or model. Easy load in & out. From electronics to sheet metal restoration and painting, when your machine is ready for the trip home, it'll have a smile on its face like the day it left the factory. Kind of like the one you'll have when you first see it again. We work on all machines but we specialize in restoring the Ampex ATR-100. We love 'em and so do the folks who've bought them from us! Check out our ATR-100 page for complete details. Shown left - ATR-100 - 1" MasterMonster at Crescent Moon Studios, Miami, Fl.